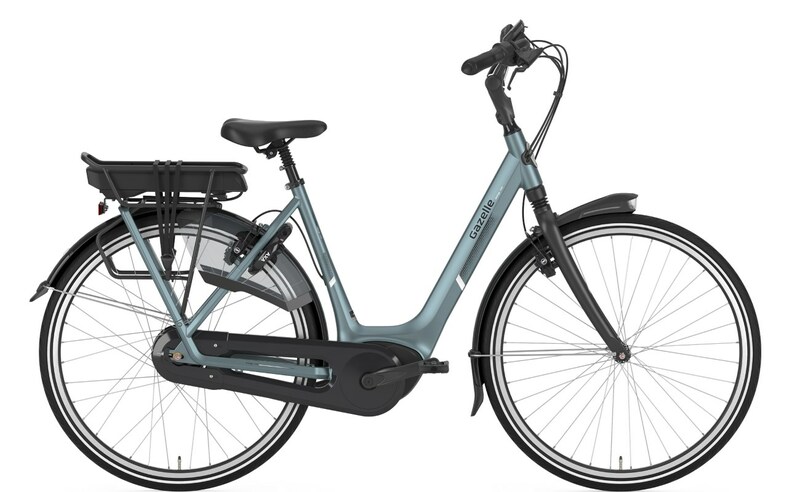 The Gazelle Orange C310 HMB is a luxurious electric bike with minimalist design, from the Dutch giant, Royal Dutch Gazelle. It features the breathtaking Enviolo City continuously variable transmission gear system. Bosch’s new Active Plus motor is at the heart of the Gazelle Orange C310 HMB. Its design encapsulates luxury touring and the ultimate in comfort. Consequently, it’s Ideal for commuting, touring or simple trips into town and back. The Gazelle Orange C310 HMB is easy to ride and a huge performer. As you’d expect with all Gazelle’s, the bike is beautifully put together. Also, cable routing is internal, and the paint finish second to none. The Gazelle Orange C310 HMB is fully equipped and road-ready. It features strong front lights, full mudguards on the front and rear and a rear carrier for all those bits ‘n’ bobs. It’s hard to imagine that such a simple yet elegant design can deliver such performance and comfort. The centre-mounted Shimano motor design ensures a lower centre of gravity, resulting in a stable and reliable ride every time. A whopping 500Wh battery ensures huge range. As a result, this fabulous ebike is ideal for longer rides whether it be in the countryside, in the town or on a canal tow-path. The real star performer within the Gazelle Orange C310 HMB is its Enviolo City continuously variable transmission system. Unlike any other gearing, the Enviolo is seamless and offers a simple rotary control to change gears. Click shifting is a thing of the past with this innovative system. Simple to use, gear changing is sheer luxury in itself. The Gazelle Orange C310 HMB with Enviolo City gearing is pure luxury and indulgence.